You may think that cyber-attacks only happen to the corporate giants. But as a small business owner, you are actually at more risk than them! Nearly 60 percent of hacked small- and medium-sized businesses go out of business after six months. The issue of cyber security has become a central focus of companies, big and small, across all industries. As more individuals and small businesses become increasingly dependent on our networked and interconnected infrastructure, cybercrime and cyber criminals have become much more sophisticated in their techniques for stealing identities and using them to extract funds and make fraudulent purchases. 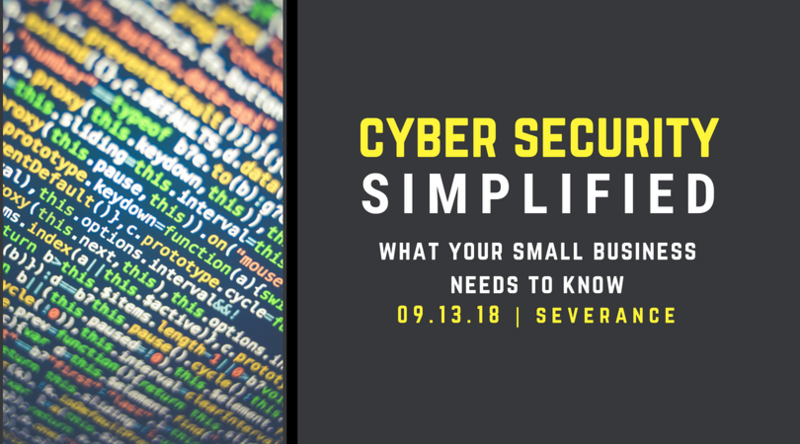 Join us in this session to understand how your small business may be at risk and what you can do to protect your customers and your assets. Coryn D. Mann is the owner of Corvus Technologies, LLC. She has extensive experience in Subcontract Management, Supply Chain Management, and Procurement. In her career Coryn has focused on serving the Federal Government for the past 25 years, leveraging her skill from 11 years of active duty U.S. Air Force and 14 years of Defense Subcontracting services. She is dedicated to lowering cost and fostering competition using Subcontract Management best practices through the Subcontract Lifecycle. Eric A. Mann is the co-owner of Corvus Technologies, LLC. He has honed his Cyber Security career and is a Subject Matter Expert (SME) with over 20 years combined experience in systems administration, enterprise computing optimization, systems certification and accreditation, systems hardening, vulnerability assessment, penetration testing, and information assurance. His diverse background helps to uniquely position Corvus Technologies, LLC for projects that bridge the gap between Compliance and Cyber security. Eric leverages experience and best practices from multiple industries while adhering to customer specific rules and regulations. Coryn and Eric established Corvus Technologies, LLC to combine their talents and provide subject matter expertise in the fields of Compliance, Cyber security, NIST SP 800-171, and Subcontract Management services.